Suffolk County Police today arrested a man involved in a hit- and- run crash that critically injured a motorcyclist in North Babylon on September 19. North Babylon, NY - September 21st, 2013 - Suffolk County Police today arrested a man involved in a hit- and- run crash that critically injured a motorcyclist in North Babylon on September 19. Following an investigation by Vehicular Crime Unit and First Squad detectives, Kenneth Jones Jr. was charged with Leaving the Scene of an Incident Without Reporting Involving Serious Physical Injury, Aggravated Unlicensed Operation of a Motor Vehicle 3rd Degree, and Criminal Possession of Stolen Property 3rd Degree. 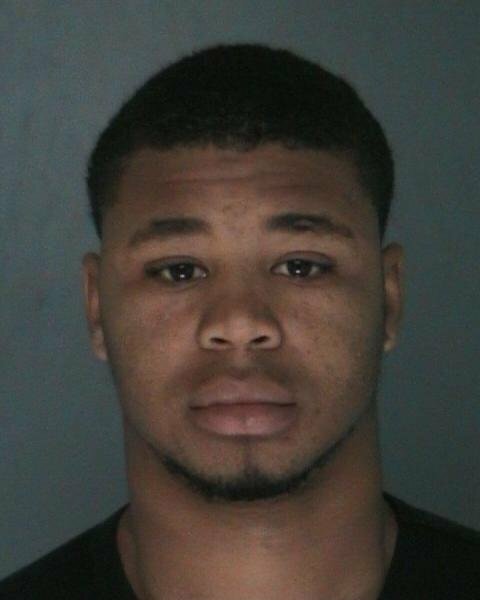 Jones Jr., 19, of Washington Avenue, Deer Park, is scheduled to be arraigned at First District Court in Central Islip on September 21. Date/Time: Thursday, September 19, 2013 at approximately 12:40 p.m.
Suffolk County Police Vehicular Crime Unit detectives are investigating a four-vehicle crash in North Babylon which left one man in critical condition. Travis Lovett was riding a 2007 Suzuki motorcycle northbound on Deer Park Avenue, approximately 50 feet north of Parkdale Drive, when he rear-ended a 2011 Ford Escape being driven by Jacqueline Morrison at approximately 12:40 p.m. Morrison lost control of her vehicle and the Ford Escape overturned. A man riding a 2002 Suzuki motorcycle and a man driving a 2007 Honda motorcycle also traveling northbound on Deer Park Avenue could not stop in time and also crashed. Lovett, 20, of Brentwood, was taken to Good Samaritan Hospital Medical Center in West Islip, with a head injury. He’s listed in critical condition. Morrison, 54, of Babylon, and her 3-year-old granddaughter were treated at Good Samaritan Hospital Medical Center, for non-life threatening injuries. The driver of the 2007 Honda, Stanley Severe, 22, of Deer Park, did not receive medical treatment. The driver of the 2002 Suzuki left the motorcycle at the scene and fled on foot. The investigation is continuing. Detectives are asking anyone with information about this crash to contact the Vehicular Crime Unit at 631-852-6555 or call anonymously to Crime Stoppers at 1-800-220-TIPS. NY Sports Update, January 24th, 2012: Giants advance to SuperBowl, Knicks add another loss to their streak, Rangers outlast Bruins & more sports news. Subject: LongIsland.com - Your Name sent you Article details of "SCPD Update: Motorcyclist Critically Injured in Four-Vehicle Crash"